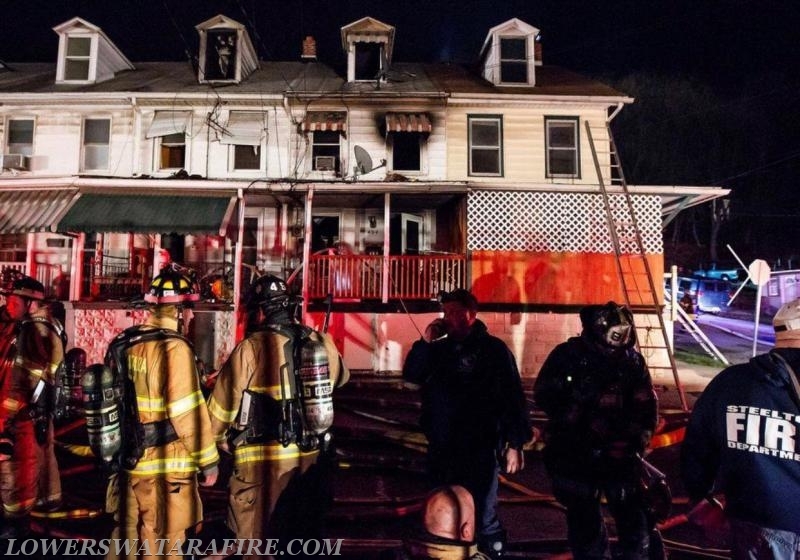 Around 2000, Rescue 59 was dispatched to assist Company 50 (Steelton) with a working row home fire in the 400 block of Swatara Streets. Rescue 59 made the response with 6 personnel shortly after dispatch. Upon arrival, the crew from Rescue 59 split, assisting with fire attack and opening up on divisions 2 and 3 of the bravo exposure. 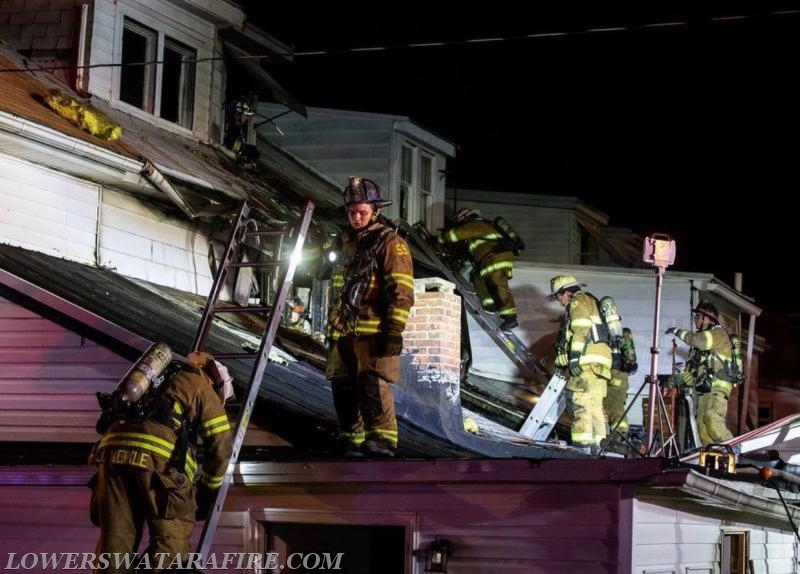 The division 2 crew then joined Chief 59 and Chief 59-1 on the charlie side exterior with opening up the still smoldering roofs and soffits. Company 59 personnel operated on scene for about 2 hours before returning to service.